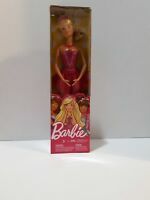 Brand: Unbranded Doll Size: 12in. We’ve ordered parcels of Barbie clothes prior to these purchases. 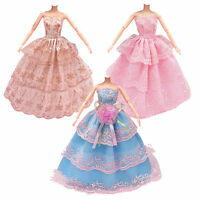 The dresses are pretty for a young child and very easy to put on. They are very basic but the fabrics are bright and the little girls love them. 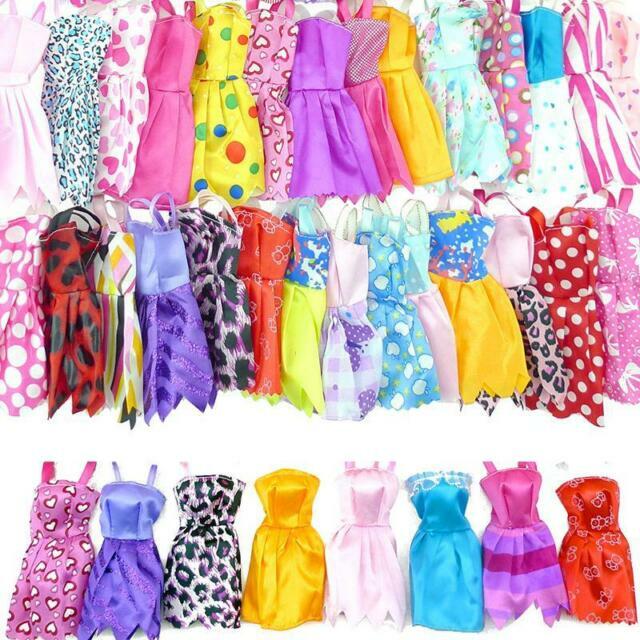 It’s fun to get so many different different dresses. It took 5 weeks for them to arrive. Plan ahead and you’ll be pleasantly surprised. These are very cheaply made but the cost was fair. 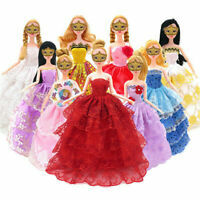 A handful of the dresses were to small for the barbie dolls and cannot be used...there were a few that were to big. You get what you paid for. My grand daughter did like them. There are many pretty colors and patterns. I purchased this product for a 4 year old. As much as it was not high quality fabric and similar design. She was ecstatic with the choice of patterns. It allows a play expierence at s very affordable price. Where as retail is $5 for one outfit she has 20. Ps pipe clears shaped as hangers, works perfectly to hang the ribbon straps. My granddaughter loved it ! 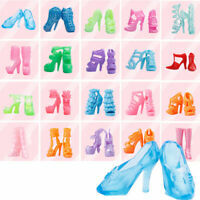 They are great for price, and so many of them. I got them right away and it was great, no issues. Thanks! My granddaughter loves the clothes, and wants more in a bigger size for her.